FRUITLAND PARK – For Lew Arnold, the Five-Day Academy for Spiritual Formation is all about the rhythm. And it’s an intentionally slow beat. “You have to slow down,” said Arnold, a retired pastor who remains active in prison ministry and who has participated in the academy for 10 years. 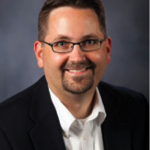 He will lead the 2014 retreat at the Florida Conference Life Enrichment Center (LEC). 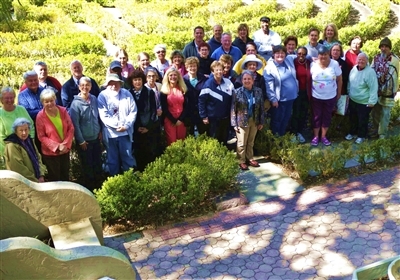 Participants of the Five-Day Academy for Spiritual Formation typically use the labyrinth and other facilities at the Florida Conference Life Enrichment Center to enhance their spiritual journey. Photo from Lew Arnold. Developed by The Upper Room, a United Methodist ministry, the daily program starts with silence and then worship, followed by educational opportunities and a chance to mingle with others on a spiritual journey to become closer to God. The Eucharist is celebrated daily. The Florida Conference Spiritual Formation Team has been organizing the annual event, which typically attracts 40 to 50 participants, since 2001. Registration is open to clergy and lay members for this year’s academy, scheduled for March 9-14. Arnold said church leaders in particular get a lot out of the retreat. “One of the things about being a [spiritual] leader is you don’t always pay attention to your own spiritual journey,” he said. Jim Cook, prayer and chapel ministries director at Trinity UMC, Gainesville, and this year’s Spiritual Formation Team chairperson, said mixing clergy and laity at a retreat like the Five-Day Academy is healthy. Participants will be divided into small covenant groups that stay together and meet daily all week long, Cook said. "The depth of spiritual conversations and personal conversations is extremely important over those five days,” he added. Cook said he is impressed with the presenters this year. Both will discuss the spirituality of ancient practices that hold value for modern worshipers, who probably have more in common with past societies than they realize. 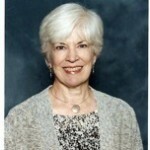 Mutert is a master teacher and council member of Veriditas, a California-based nonprofit organization dedicated to introducing people to the spiritual practice of walking the labyrinth. Cook said he attended a seminar led by Mutert in Jacksonville recently and let her know about the living labyrinth at the LEC. He expects her to incorporate the fixture in her workshop at the academy retreat. Frances Jennings of Jacksonville has attended the Five-Day Academy for more than 10 years and signed up early for this year’s event. A member and former chairperson of the Spiritual Formation Team, she is involved in other efforts specifically aimed at developing a spiritual relationship with God. “I think it’s a very spiritual time for both clergy and laity,” Jennings said, adding that the event often draws participants from out of state and from other denominations besides Methodist. Because the program was modeled after the ways of the monastic order, including lodging participants in a room alone for enhanced meditation, the Five-Day offers a spiritual development opportunity that differs from some other experiences available to Christ’s disciples, Jennings said. The faculty usually comes from out of state and offers a glimpse into spiritual practices across time and the globe, she added. Registration costs $75, with additional costs for lodging. Scholarships may be available for those who need financial assistance. Participants may be eligible for three continuing education units. For information, click here.